I listen to the cd in my car. Ten o’clock in the evening. December and it is so cold that your toes freeze. The first song begins and the fog seems to fade. With “Fobia”, it feels like it’s July again. Sicilian sea, sandy swim suits and dancing on the beach til the morning comes. It’s the reggae that make you wave and make your fingetips tick on the steering wheel. Maybe also because of the heating system, the cd creates the right atmosphere. Very good voice Max Busa! You emerges all over the tracks. 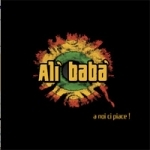 And very good lyrics, especially those in Sicilian which reminds the exotic atmosphere of Jamaica. All is nice for a part of my journey. But then you notice that after 30 minutes you’re still listening to the 6th song and the landscape is cold again. The palm-trees freeze, the sea shakes and my toes become ice temperatured. The music is the same music. The same guitar riffs, same rhytms, same chorus. And there are still 4 songs left to listen. Maybe it was better to compact everything. Why do they need to repeat the same patterns in the whole album? The last track, a sort of gospel, extinguish any summer recalling. What a pity.